Julie Rivers, who is licensed to practice in New Mexico and Oklahoma, concentrates her practice in wills, trusts and estates, real estate law, transactions and entities, nonprofit/tax-exempt entities, as well as business, corporate and partnership law. Ms. Rivers also is well experienced as a litigator and mediator. She has practiced law for nearly 25 years. She is a Martindale-Hubbell “AV” Peer Review Rated lawyer and has received awards for her speaking and writing throughout her career. As a speaker, Ms. Rivers has presented at an international level, ranging from Cardiff, Wales, to New York, Washington, DC, Denver, Orlando and San Francisco, and, of course, in New Mexico and Oklahoma. Ms. Rivers is a member of the board of directors of the School of Advanced Research, a board member of the Santa Fe Estate Planning Council as well as New Mexico Bar Association’s Mandatory Continuing Legal Education Board. She is a Leadership Santa Fe (class of 2015) graduate and a member of the Rotary Club of Santa Fe. 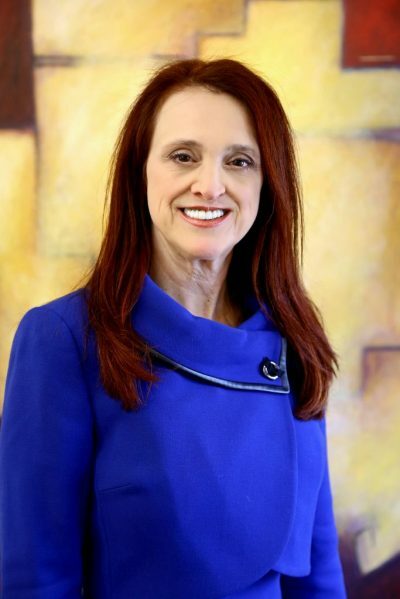 She has served on numerous other boards throughout her career, both in Oklahoma and New Mexico. Ms. Rivers has previously been a frequent guest lecturer at two of Oklahoma’s law schools and has served as an adjunct professor at the University of Oklahoma Law School’s Legal Assistant Program. Ms. Rivers obtained her law degree at the University of Oklahoma nearly 25 years ago and her undergraduate from Oklahoma State University in 1984. Ms. Rivers values continuing legal education so that she remains at the top of her field. She has attended the ABA’s six-day Skills Training for Estate Planners in New York City as well as the ABA’s eight-day Advocacy Institute in Family Law. It is important to Ms. Rivers to provide exceptional and mindful legal service and that her clients feel that the offices of Cuddy & McCarthy are a haven of warmth and professionalism. She enjoys working one on one with clients to craft well-thought out solutions to their legal challenges.